Arcade Fire In Concert Hear Arcade Fire live in concert from New York's Judson Memorial Church during their Neon Bible period in 2007. Arcade Fire performs at New York's Judson Memorial Church February 17, 2007. 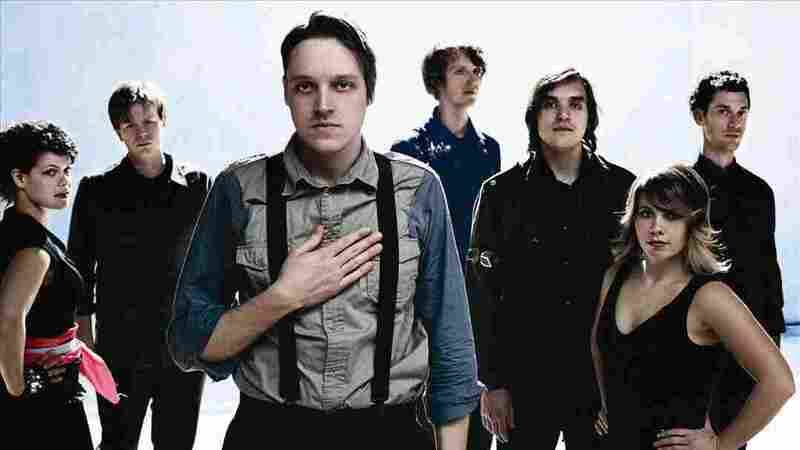 Arcade Fire's 2004 debut Funeral was one of the decade's most remarkable rock albums. 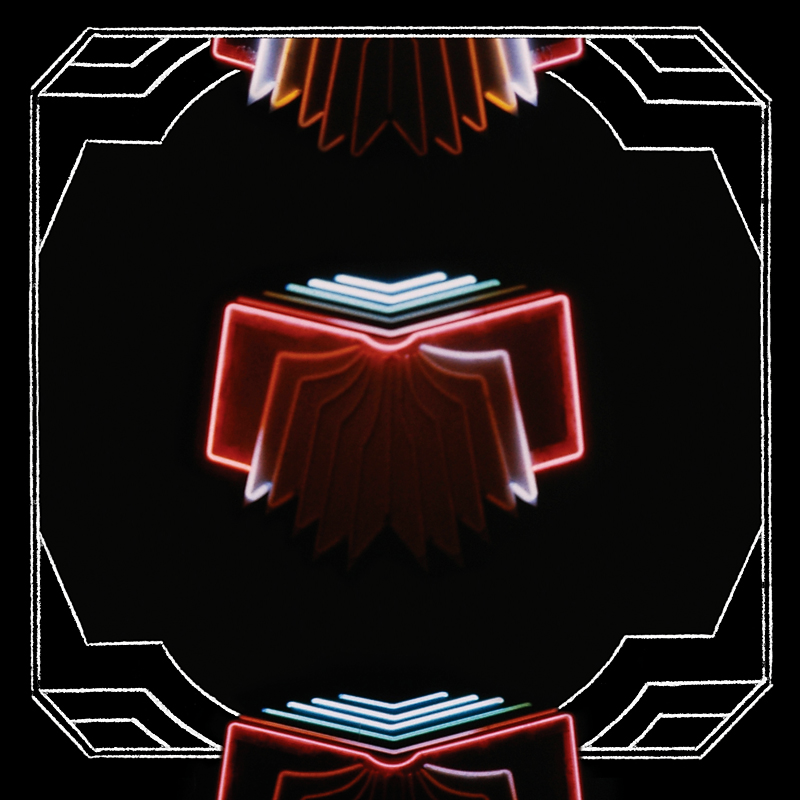 Now on the eve of releasing Neon Bible, their highly anticipated follow-up, the band visited New York's Judson Memorial Church for a full concert, originally webcast live on NPR February 17, 2007. Arcade Fire formed in Montreal in 2003 around the husband-wife duo of Win Butler and Regine Chassagne, with Richard Reed Parry, William Butler, Tim Kingsbury, Sarah Neufeld and Jeremy Gara. Funeral drummer Howard Bilerman has since left the band. Arcade Fire makes emotionally charged, densely layered and orchestrated songs, led by Butler's heartbreaking voice. They're known for unusually captivating live performances, with band members repeatedly changing instruments and scrambling over one another in a musical frenzy. The band spent most of 2006 recording their self-produced new album in the basement of a church in a small town outside of Montreal. They also traveled to Budapest to record an orchestra and military choir. Collaborators include Martin Wenk and Jacob Valenzuela, the horn players from Calexico. Hadjii Bakara from Wolf Parade added some bleep and bloops and sonic weirdness. Owen Pallett helped to orchestrate (as he did on Funeral). Pietro Amato and his horn playing associates added some brass. Neon Bible is scheduled for release on March 6, but a number of tracks have already been leaked on the Internet. In December, iTunes inadvertently made the wrong advance track available in their online store, posting "Black Wave/Bad Vibrations" instead of the band-approved song "Intervention." Apple eventually made the right track available, with all money from sales going to the Partners in Health charity. In an online diary, Win Butler says, "We decided to try and get a couple of songs out to people before the record leaks (which is inevitable), but keep in mind that the record is very much meant to be heard as a whole. That is why we leaked over 100 songs on Myspace as fake band names over the last year and then made a compilation of the 11 most popular songs and called it Neon Bible! You will hear the whole record in due time, and I am sure it will all make sense." Of the final push to get the album done, Butler says, "We have probably worked harder in the last three months than in the rest of our lives combined. But we are really proud of the results. I can't wait for [fans] to hear it."